The victories gave Black, who lives in Cape Elizabeth and attended a ski academy in Vermont in her first year of high school, six individual state titles in six attempts. 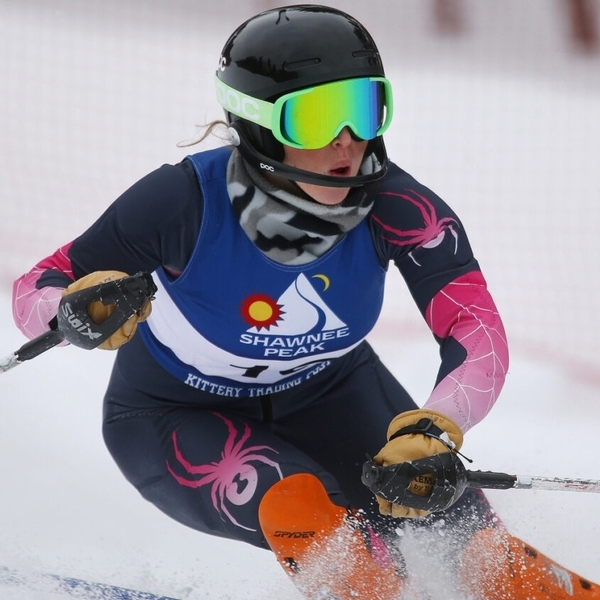 She is our choice as Varsity Maine Girls’ Skier of the Year. Students and adults can join the ski/snowboard club led Ms. Kathy Little at Sunday River again this winter. This year, individuals can sign up for individual dates or join all the trips. The program is based out of South Ridge this winter, not White Cap. Click here to download the registration form. Time: 6:30 a.m. to 5:00 p.m.
Meet at: CHS if taking the bus. Otherwise, see you at the mountain between 8:00 & 8:30 am. Cost: These prices are per trip. Group discount rates are only available for students 13 years or older. Group discount dates are not available if a student is 11 or 12 years old. If you are 13+ a lesson “ticket” will be provided upon arrival. You will complete a sign-in process at the Snow Sports School (slopeside at the South Ridge Lodge). A liability form will need to be signed. Group lessons are 90 minutes and are divided into three ability levels. You will meet at 10:00 am at the South Ridge Lodge in front of the Snow Sports School near the fire pit for your lesson will which will run from 10:30 to 12:00. Sunday River will no longer preset equipment for program participants. If rentals are needed, a rental “ticket” will be given to you upon arrival. You will take the rental ticket to the Sunday River Rental Shop (in the South Ridge Base Lodge) for redemption. Upon entering the Rental Shop, you will need to sign in and enter rental details on the computer registration system. You will show your rental ticket as payment before proceeding to pick up and get fitted with equipment. Full payment is due by December 21.